Even the best contractors and construction companies are vulnerable to claims of fraud. The typical situation occurs where a contractor completes a job, but the owner does not want to make the final payment. When the contractor attempts to collect, the owner threatens a fraud or consumer fraud claim as a way to try to avoid having to pay for the work. Contractors are especially vulnerable in residential construction, because of the technical requirements of the New Jersey Consumer Fraud Act governing home improvement contractors are little known and strictly enforced. Fraud occurs when one party makes a misrepresentation of important facts on which the other party relies to its detriment. Normally in construction contracts these misrepresentations must be made before the contract is signed, and the other party must have relied on these misrepresentations in deciding to enter into the contract. A successful claim of fraud can result in the contract being ordered to pay the owners damages plus punitive damages. Our attorneys have handled many claims of fraud, and utilize all the defenses available under New Jersey construction law. We fight aggressively for our clients’ rights. The most important thing to do, however, is to build a strong case backed by solid evidence to show that not only didn’t the contractor commit fraud, but that the owner got exactly what she contracted for. A greater problem is the regulations governing the New Jersey Consumer Fraud Act. These requirements are quite technical, indeed bordering on minutia. However, they must be strictly followed, or a home improvement contractor on a residential construction project can be held liable for triple the owner’s “damages” (also known as “ascertainable losses”) and responsible for the homeowner’s attorneys fees. Violations of New Jersey’s Consumer Fraud Act occur whenever a home improvement contractor makes any affirmative material misrepresentation whether intentional or not, and whenever a contractor knowingly withholds material information. In addition, the Department of Community Affairs has issued regulations which make certain acts in connection with contracts for home improvements. Every home improvement contract must be in writing, and signed by both parties. The contract needs to include the name, registration number and address of the contractor. All change orders must be in writing, and signed by both parties as well. Contracts must have the date on which the work will begin and be completed by. Every contract must contain specific required language about the owner’s three day right to cancel the contract in specified print and size. The contract must attach a copy of the contractor’s general liability insurance policy, and include the insurance carrier’s telephone number. The full price and what is included in that price must be set forth in detail in the contract. The contract must include the warranties on both goods and materials. The specific brand, type and quantity of materials must be described in the contract. In addition, the regulations make the failure to follow any of these requirements consumer fraud violations. A home improvement contractor must register with the Department of Community Affairs. Home improvement contractors cannot disparage their competition. Every written communication from the contractor to the customer must include the contractor’s Department of Community Affairs registration number. 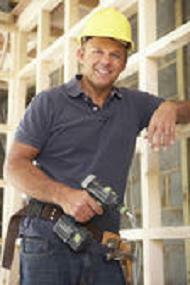 The contractor must obtain all required permits, and must obtain them before starting work. The contract must be fully signed before commencing work. The contractor cannot require the homeowner to pay in full before the job is complete. There are several ways in which our construction attorneys defend contractors in consumer fraud cases. The first way to do this, of course, is to show that there was no consumer fraud, either by a misrepresentation or omission, and that there were no “technical” violations of the consumer fraud regulations. To do this, we make aggressive use of the “discovery” process allowed by New Jersey law, which gives us the opportunity to build the case that no consumer fraud occurred. Even when technical violations or actual misrepresentations occurred, however inadvertent, there are defenses which can be raised. Additionally, we can use the discovery process to show that the owner did not suffer any “actual” and “ascertainable” loss, which is required for recovery of damages under the New Jersey Consumer Fraud Act. The best defense to a technical violation of the regulations is to ensure that the contract itself has no violations, and the best way to do this, of course, is to have a contract written without any violations. We have spent years writing home improvement contracts for contractors which help them get paid and comply with New Jersey’s consumer fraud regulations, and helping them revise existing contracts so that they comply. Our construction attorneys aggressively utilize every defense and use the discovery process to the fullest to defend our clients against claims of fraud and consumer fraud. For help, please e-mail us or call (973) 890-0004.